“Carneros in 1957 was full of sheep,” observes Karen MacNeil as we prepare to taste the first commercial pinot noir ever made from the region that is now synonymous with that grape variety. 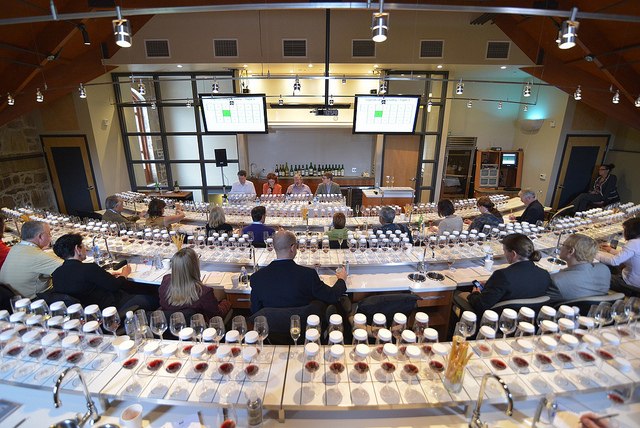 It’s not the most obvious way to begin a two-day retrospective of Napa Valley wine, but what it did do is remind everyone in the room — writers and sommeliers from around the country — just how young this wine region really is. 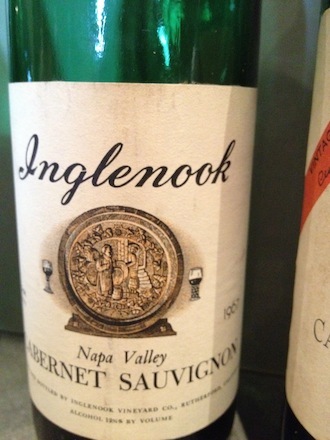 Led by Ms. MacNeil, Anthony Dias Blue, Nicholas Jackson from Sotheby’s and Alder Yarrow of Vinography, we would be tasting 78 wines spanning half a century and would come to discover just how it is that cabernet sauvignon came to dominate the Napa Valley. 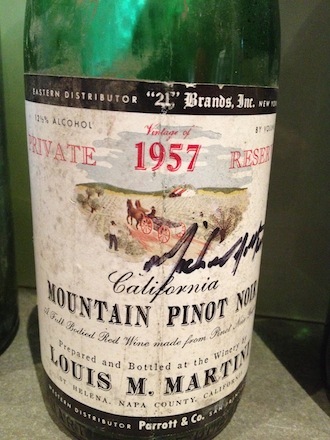 (The Louis M. Martini 1957 Pinot Noir, Carneros is, by the way, vibrant, fresh and lively: “A lot like an old Burgundy,” said Jackson). In 1961, just six percent of Napa Valley vines were cabernet sauvignon; in 2011, the percentage of acreage had grown to 43 percent of all vineyard land. 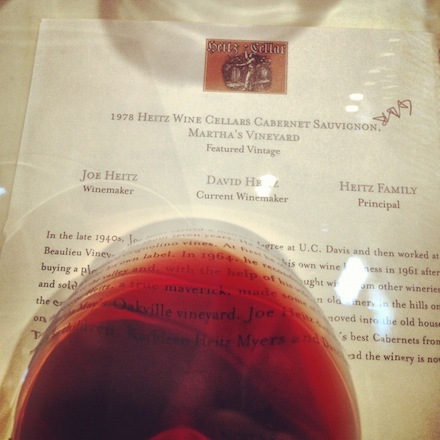 Cabernet sauvignon from the ’60s and ’70s are considered by many to be among the world’s greatest wines — it is during this time that Heitz and BV and Beringer took the world stage. But then in the ’80s and ’90s, something happened. Many things happened: blame Robert Parker, blame technology, blame the sweet American palate, but Napa Valley cabernet sauvignon took on a different identity, one that has polarized the wine industry. Cabernet sauvignon’s ascent to the throne has been a complicated and at times controversial one. Hopefully this tasting would shed a little light on the matter. “Ah, the Old ’66,” sighs MacNeil. 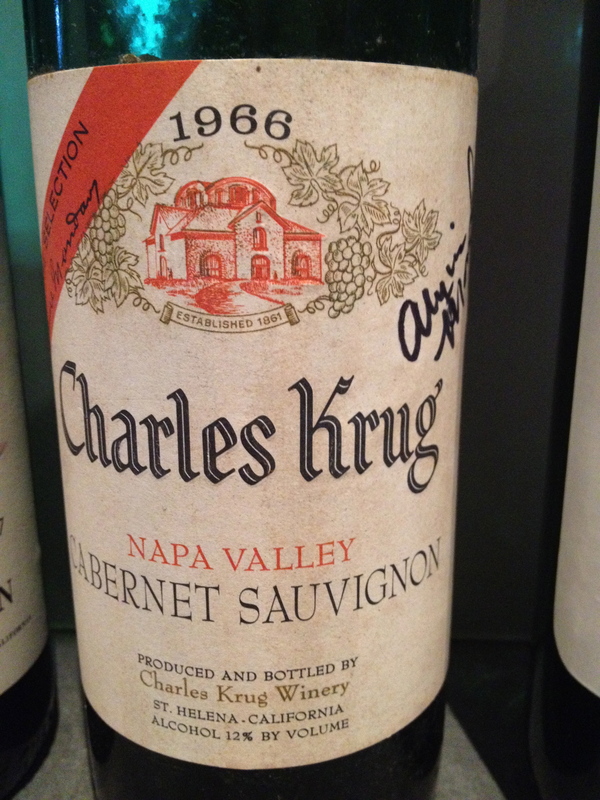 “This has always been one of my favorite cabs from Napa.” The 1966 Charles Krug Cabernet Sauvignon, Vintage Selection specifically, was made the very year Robert Mondavi left to establish his eponymous winery and the year his brother Peter became president of Krug. Alicia Mondavi, of the fourth generation, introduces the wine and remembers it being a rainy year. The fruit is fresh, the oak sweet, the body light, the acidity soaring. Murmurs of deliciousness ripple through the room as glasses are swirled and sipped. Then into our history came a young Russian enologist whose name will forever be linked to Napa Valley cabernet sauvignon. Andre Tchelistheff was hired by George de Latour in 1938 to make wine for Beaulieu Vineyard — which he did. 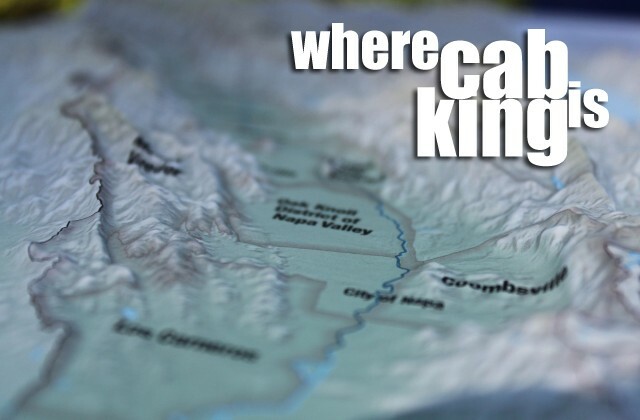 And did so well he was soon hired to consult for many other wineries around the valley — always championing cabernet sauvignon. Karen MacNeil calls the 1968 Beaulieu Vineyard Georges De Latour “an end of an era for this great post-war time in the Valley.” It was maybe the last vintage that Tchelistcheff made. The following year Latour’s daughter sold BV and it is now owned by Diageo, but under Jeffrey Stambour the Latour legacy is carried out to a surprising degree. (He has gone so far as to build a separate winery on the property for the Latour label.) 1968 was warm — a perfect growing season and the dark, brooding nature of the wine seems to capture the intensity that comes with so much sunshine. The American oak, in which Tchelistcheff was a strong believer, makes for an even more powerful wine. In 1977, Myron Nightingale, who is credited with making Beringer one of America’s most prestigious wineries (now it is owned by Treasury and makes, in addition to some fine cabernet, a lot of inexpensive, mediocre stuff), made his first wine, which they called a “Private Reserve” — introducing the idea of a “reserve” wine to the Valley. The 1977 Beringer Private Reserve, made from the Chabot vineyard — from which Beringer still produces one of its better wines — is still almost rich in body given its age with a “clean stony purity,” notes Yarrow. Chateau Montelana became famous for its 1973 chardonnay which beat Burgundy in a blind tasting in Paris in 1976. 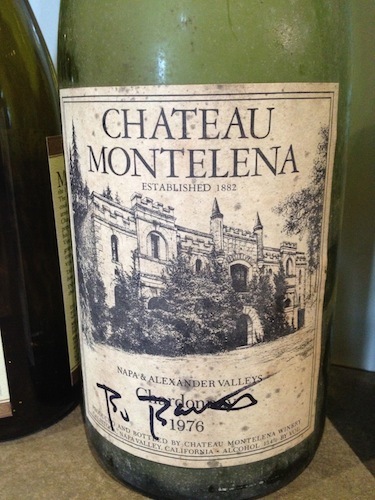 On the heels of that success, winemaker Mike Grgich left in 1977 to start his own winery and the following year his successor Jerry Luper, who Bo Barrett describes as his “second mentor,” made Montelena’s first cabernet sauvignon with fruit from the Calistoga estate vines planted between 1972 and 1974. The 1978 Chateau Montelena Cabernet Sauvignon was made with what was considered a high amount of new oak for the time (20-25 percent) and the wine still tastes primarily of fresh cherry fruit and sweet oak, but for some reason the panel decides it should be drunk sooner rather than later. Genevieve Janssens, the current winemaker for Robert Mondavi (which is now owned by Constellation) recalls that when she arrived in Napa Valley in 1978 “it was all red” — the vines were virused (George Stambour of BV remembers a time when they thought that was normal for grapevines). The 1979 vintage was characterized by a cool summer followed by an early pick to avoid rain and an underripe steminess on the 1978 Robert Mondavi Winery Reserve shows it. “Most decisions were made by the vineyard manager,” remembers Janssens, meaning that leaving fruit on the vine after a rain in the hopes that it would dry out and continue to ripen — a common practice now as winemakers insist on optimal ripeness whatever the cost — would have been absurd. This year was also the beginning of the Opus One venture — the first of many French forays into the Valley. Speaking of the first joint venture between the New World and the Old, the first vintage of Opus One is poured. The 1979 Opus One was made mostly from the To Kalon vineyard, recalls Tim Mondavi, and was a blend of cabernet sauvignon, cabernet franc and merlot, in keeping with the vision of the Opus One project to replicate, to a ridiculous degree, everything just as it is done at Chateau Mouton Rothschild in the Napa Valley. A hint of eucalyptus on the nose speaks of the Q Block, says Mondavi and we are reluctant to leave the wine behind: as fun as it is to hate Opus One, the wine is delicious. Warren Winiarski is many things to Napa Valley: the first to plant grapes in Stags Leap (which was considered a questionable area at the time, according to MacNeil) the founder of Stags’ Leap Wine Cellars and the originator of the phrase “an iron fist in a velvet glove,” referring to the structure and texture of his wines. Trained at Mondavi, he submitted the second wine he made at Stags’ Leap with the assistance of Tchelistcheff (the 1973) to the Paris Tasting where his wine was selected over wines from Bordeaux producers like Mouton Rothschild and Haut Brion. But the 1979 Stags’ Leap Wine Cellars, S.L.V has very little to do with today’s Stags’ Leap wines. Dry-farmed and picked at 22 Brix, it weighs in at a light 12.5 percent abv. “Classic Stags’ Leap structure, with aromas of slow-braised lamb, cloves and peppercorn,” notes Yarrow. MacNeil describes it as Audrey Hepburn-esque. We leave the ’70s behind with the 1976 Joseph Phelps Insignia. Tasted last because we are in order of intensity rather the chronology, the Insignia isn’t like the other kids. This wine “begins to show the frame versus the picture,” says MacNeil thoughtfully. “Phelps was instrumental in developing the idea that structure mattered — that fruit was a given.” Damien Parker, the current winemaker remembers that, at the time, 22-23 Brix “was where you picked…. This was 24.” A typical pH at the time was 3.3–3.4. The ’76 Insignia was 3.6. After spending 22 months in French oak, “at the time of release this was so rich and powerful, it was not believed to be able to age,” says Parker. The name “Insignia” — the first-ever proprietary wine in the valley, a blend of Bordeaux varieties — “came to Joe in the shower,” laughs Parker. Today, it tastes thin and hot, especially on the heels of the last two decades. “Back in the ’80s, we were figuring out how to grow cabernet,” says Nicole Marchesi, the winemaker for Far Niente, which harvested their first post-prohibition cabernet in 1982. (The winery was founded in 1855 and made wine until 1919, at which time it was abandoned. The Nickel family purchased and restored it in 1979.) Far Niente was establishing a ripe, oaky style, what one panelists describes as an “oily glycerol-like” palate at a time when Napa Valley was figuring out how to take advantage of all that California sun. It was a dangerous combination. “1984 was the year that revealed this jammy style was possible,” says MacNeil. The 1986 Far Niente Cabernet Sauvignon is a beautiful wine: ripe fruit without being too plummy complemented by resinous herbs and a long floral finish. By the time we get to the 1992 Araujo Cabernet Sauvignon, Eisele Vineyard, Napa Valley has presumably figured a few things out. Technology has introduced a new scientific approach to winemaking and vineyard practices have improved. The wine tastes clean and modern; it tastes like shiny stainless steel and rows of new oak barrels. The year was a hot one in Calistoga. “We start to see that a wine can have power and elegance,” says MacNeil. “Araujo elucidated that idea. It was a new concept in 1992.” Everyone loves the wine; it’s hard not to. But I am reluctant let go of the past, of those wines made by intuition; to embrace the modern era of laboratories and test tubes. “I’m probably the only winemaker that has true experience in growing prunes,” laughs Chuck Wagner. It’s funny and sad because we are talking about the pruney nature of his wines. “We always tended to pick riper,” he says “and now we have dialed it up.” The 1992 Caymus Vineyards Cabernet Sauvignon, Special Selection is sweet and sour — a balance of fruit character and acidity. In 2000, recalls Wagner, he chose to go all out and has not looked back. The acidity has dropped and his wines, as he describes them, are “highly fruited with tannin.” He has no trouble selling his wine. With Turley also comes the introduction of the Cult Cabernet; wines that are high scoring and high priced and sought after as much, if not moreso, for their status than their enjoyability and ageability. We begin to see Michel Rolland’s name everywhere and later Phillippe Melka. It seems as though a recipe for becoming a cult cabernet emerges, and wines in this category begin to taste the same — some would argue this happened not just in Napa Valley, but also in Bordeaux. But into the mix of sweet fruit and charred oak (we will consider the cult cabs — and we tasted many of them — at a different time), a few exceptions emerge. Cathy Corison introduces her 2001 Corison Cabernet Sauvignon, Kronos Vineyard as her favorite vintage of the decade. “I’m extremely interested in the intersection of power and elegance,” she says and then pauses. “With a leaning toward elegance.” Having cut her teeth drinking European wines, Corison favors long cool vintages and is looked to by her loyal following as someone who refused to chase scores and trends and has always made wine she believes in — wines of complexity and balance that taste of time and place, not just of the grape. Mayacamas, where Bob Travers has been making wine on the Mt. Veeder property since 1968, finally appears on the scene with the 2007 Mayacamas Vineyard Cabernet Sauvignon, and everyone is thrilled to discover that not much has changed over the years (those who have visited the winery and seen their old casks and foudres and concrete tanks know this also to be the case). 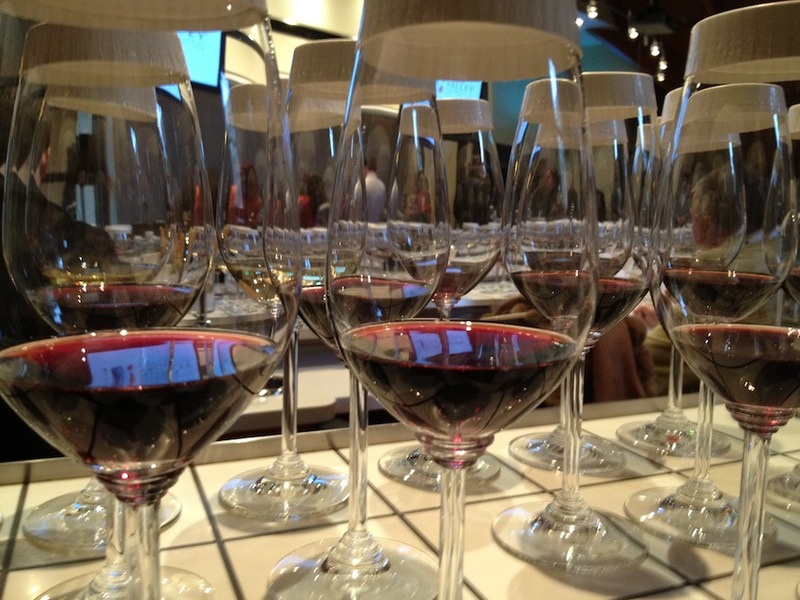 “One of the hardest things in cabernet is precision,” says MacNeil. “When you get a cab where the radio dial is tuned in — it’s not a big cab but its very precise.” Jackson characterizes Mayacamas wines as earthy, dusty and long-standing. The journey has been a bit of a whirlwind, with a sacrilegious two-and-a-half minutes allowed for each wine. I pull MacNeil over in the hallway during a break to ask her what is next, if we will ever get back to making wines by intuition given all the knowledge and technology we have. “I think right now those two ideas hang heavy,” she says. “We have a respect for the art [of winemaking] as much as for science.” Is the pendulum swinging back towards a more nuanced style of wine? “I hope the pendulum is starting to stop swinging,” says MacNeil adamantly. “It would be horrific if there was a fashion change.” But it is the wild west, she concedes and anything is possible.